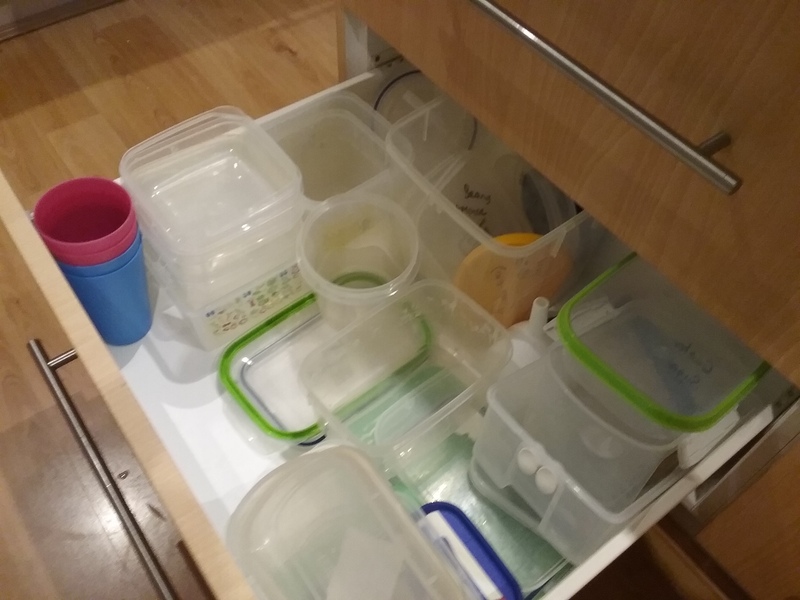 Once hailed as the ultimate answer to food storage, I have a different view of the multiverse of plastic containers, collectively known as ‘Tupperware’. 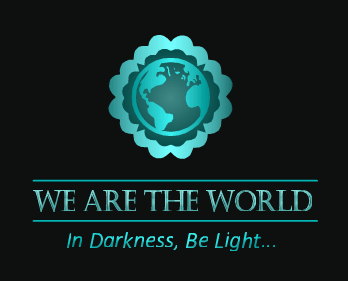 Quite simply its evil. Let me explain why I have come to this perverse conclusion on an inanimate man-made creation which is supposed to make life less chaotic and more organised. 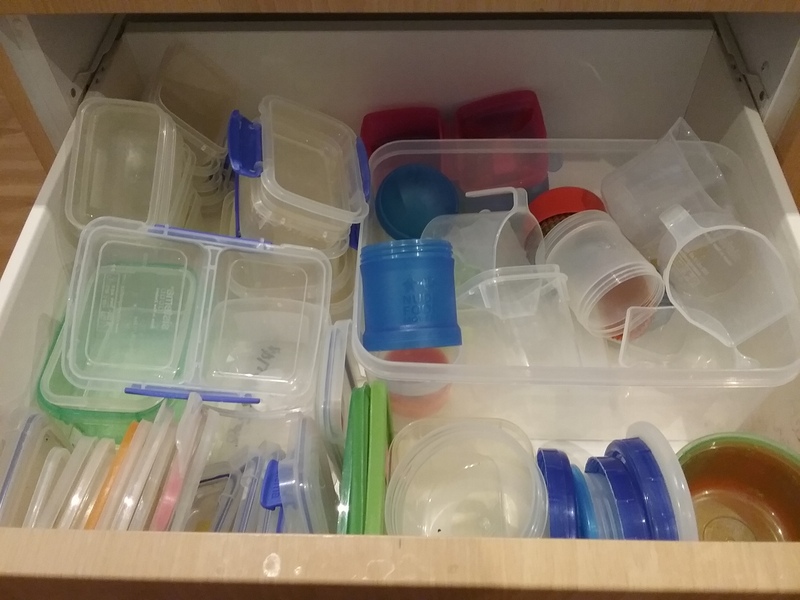 Every kitchen has a drawer full of plastic containers- my daughter in law calls this ‘a great equaliser’. But even the most assiduous cook or householder will sooner or later lose one part of the matching container. And when that happens they are forced to make an ethical choice of having the remaining solitary piece or ditching the odd bit into the bin. Its like the odd sock syndrome, you can hang on to the one lacking its partner in the vain hope of eventually finding the missing one and having a matching pair, but frankly we all know the chances of that happening each time occur with rapidly diminishing prospects. Lacking matching containers is the beginning of chaos. It starts in the kitchen and can easily flow through the house, and infuses such attractive areas as washing baskets, toy drawers, under beds and of course shoe racks. Chaos is a great time black hole creator. Just as you are about to leave the house, you are forced to spend five minutes looking for the that other shoe which you are sure you put on the rack the previous night. By the time you have found the AWOL culprit, your mind is tinged with chaos as you cant seem to recall the first item on your morning’s agenda. Of course Tupperware was developed by a man, Earl Tupper, in 1946. 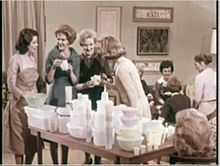 In such times the kitchen was a unexplored domain for most men, and although the plastic canister’s main purpose for existence was to prolong the life of food and make its storage more manageable, its hard to believe that real women actually got excited about the creation and spent time attending Tupperware parties. But getting back to why I think these plastic canisters, tubs, containers, rectangles, square, vials, receptacles, flasks, casks, pouches and lunchboxes are evil; no matter how long you leave them to dry after washing, a few drips always remain in some hidden part whenever want to store them. These tiny drips really annoy me. Yes, so true Denise. Bloody maddening!